Tomoyuki was headed to England for work, but in an attempted robbery he is rendered unconscious. When he opens his eyes he's in a palace in the desert?!? Seems like the thieves were after more than just his wallet. 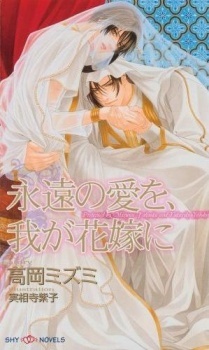 Brought to the Kingdom of Madina for the pleasure of their future king, Aswile, Tomoyuki protests at being abducted and locked in the palace; but he is easily pacified by a single kiss. Will Tomoyuki let the arrogant Aswile continue to toy with him?